Pineheart padded through the forest. The exile CrabClan cat sighed, looking around the woods. No Clan had taken this land yet, which he thought was the perfect way for him to start a new life. Not paying attention, he bumped into another cat, a gray one with blue eyes. "Hey, watch it, wolf-breath!" The unnamed cat yelled out. "I'm sorry," Pineheart mumbled. "... What's a wolf?" He asked. "You don't know what a wolf is?" The cat asked in shock. "Well, it's like a dog, but bigger! They're gray and can rip a cat in two easily! They used to live around these parts, until the up-walkers came in and chased them away," he continued. "A group of my friends and I have been living here ever since,"
"Wolves seem scary but... Do you guys even have a leader?" Pineheart asked. "A leader? Why would we need that?" "So then you can tear your opponents apart. 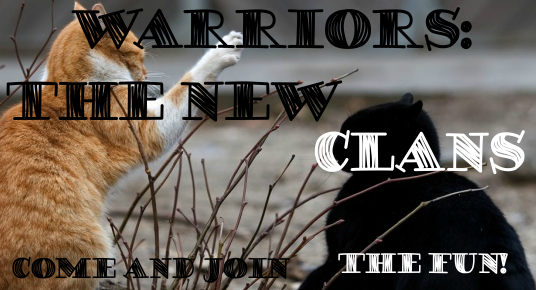 I'm going to be the leader of a Clan, but I need some more cats first," Pineheart replied. "Well... It would be safer... You have yourself a deal. The name's Spike," the other cat replied. "And I'm Pineheart. Soon to be Pinestar, leader of the new Clan- WolfClan." Short, simple, yet informative. My kind of tale! I never noticed. XD Thank you.